Buy from New Line Cinema for the internet-only releases. The Internet Limited Edition enhanced-CD features deluxe brown leatherette packing, custom belly-band artwork, and a page of 18 stamps featuring characters from the film. 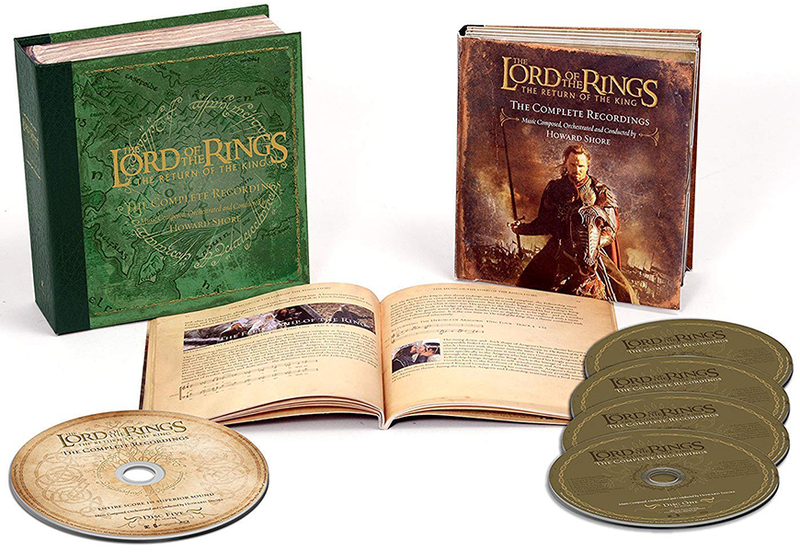 It also comes with a DVD that features a video of the making of the score, plus an exclusive Supertrailer of the Lord of the Rings trilogy. 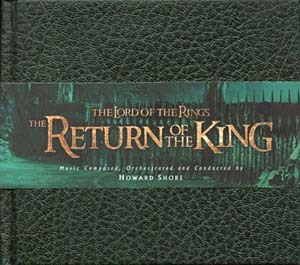 Plus, the full set of seven printed collectable character cards, which are only available individually as one of a set of seven in the Standard Jewel Case Edition. 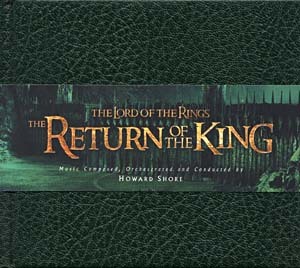 The Limited Edition version of The Lord of the Rings: Return of the King is packaged in a green leatherette CD wallet and comes with custom belly-band artwork, and a page of 18 stamps featuring characters from the film. 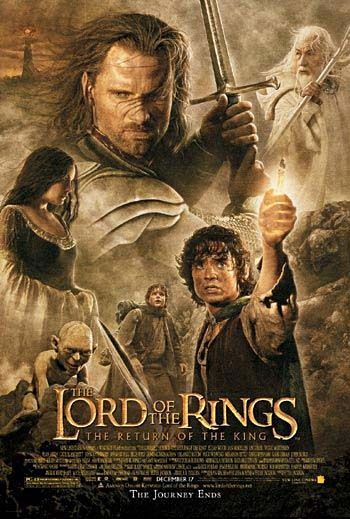 Plus the DVD featuring a video of the making of the score and the Supertrailer of the Lord of the Rings trilogy, and all the enhanced CD elements of the jewel case. 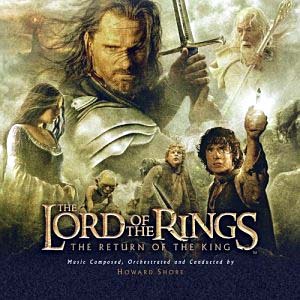 Featuring Billy Boyd performing "The Edge of Night"
Featuring Annie Lennox performing "Into the West"
This limited edition release includes a bonus DVD of trailers and "Howard Shore: An Introspective". 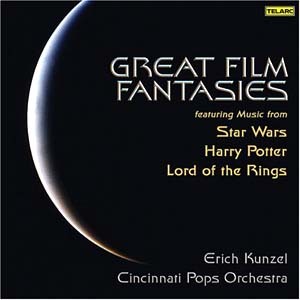 Enhanced CD which contains both regular audio tracks and multimedia computer files. 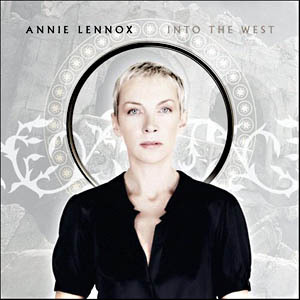 2 Track promotional single for "Into the West" by Annie Lennox. 4 Track promotional single for "Into the West" by Annie Lennox. 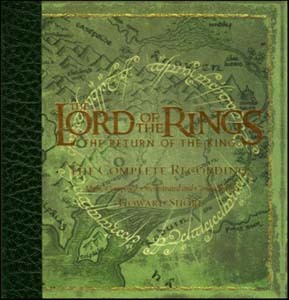 5 Disc box set. 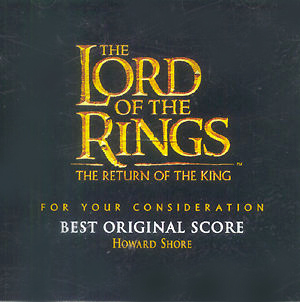 On 4 CD's the complete score. 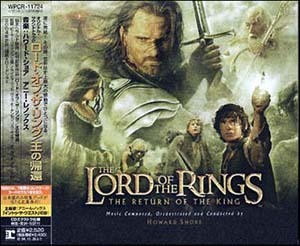 The 5th disc is a DVD with the complete score in 5.1 sound. 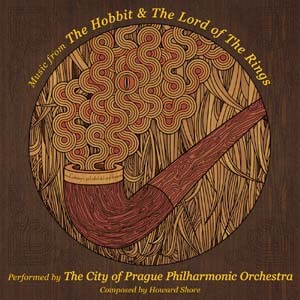 featuring Sir James Galway, Viggo Mortensen and Ren�e Fleming. 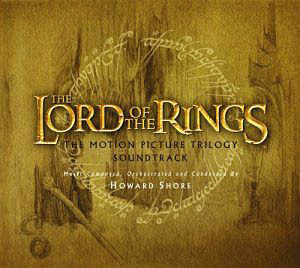 4-CD set, plus 1 Blu-ray audio disc containing the entire sore in high-resolution 5.1 surround sound. 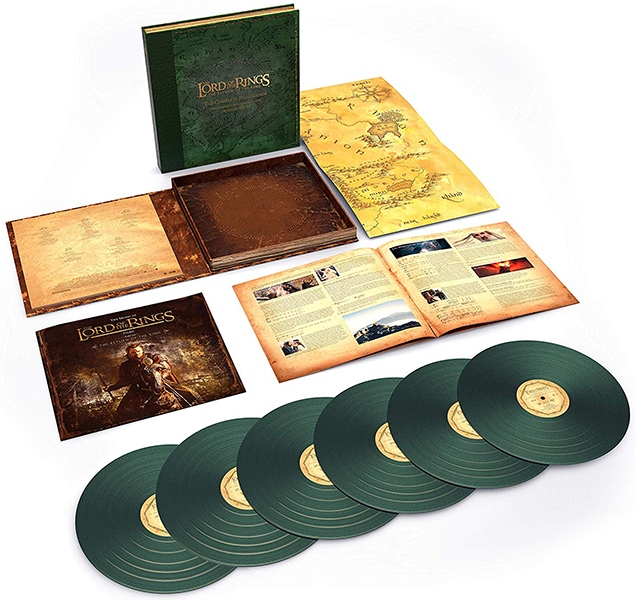 6-LP boxed set. 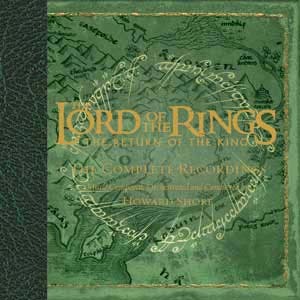 Housed in a collector�s box with a green leather-style spine, the collection is limited to 8,000 individually numbered copies on green vinyl.